Compex is your one stop source for unique trade show displays. If you’re taking your show on the road let us help you design and produce your tradeshow display booth. 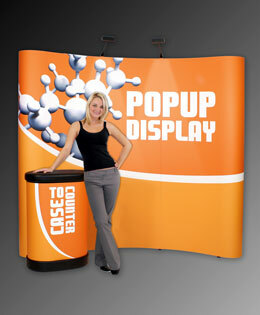 We have POP Up booths, banner stands, literature racks, table top displays, folding displays, counter tops and more. Graphics are printed in-house for the majority of the displays. We will help you choose the system that is right for you and then we will print the graphics for your display on the fastest, highest quality digital inkjet printer in Southern Ontario. BANNER STANDS. 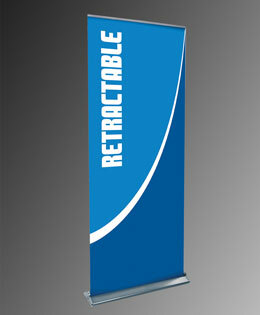 Retractable, Non Retractable and Spring Banners. 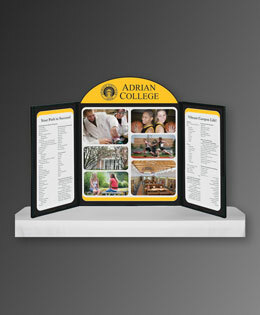 TABLE TOP Folding Panels displays and brief case style displays. Copyright © 2013 Compex Display. All rights reserved.